Our garage door is no spring chicken so it needed some tender care. Replaced the broken spring with two long lasting ones. Replaced all the old and cracked rollers with new type. Lube and adjusted every thing and adjusted the opener. All this was done by Hrash under the guiding hand of master teacher, Russ. Expect big things from Hrash-he’s a keeper! Russ is the master instructor and his student seems ready to be his own master! 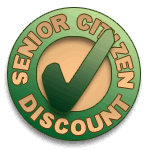 I have used Precision Door Service several years ago and was impressed, so when I required service again I knew to call. They are prompt, courteous, and extremely knowledgeable. Jason communicated his schedule, arrived on time, diagnosed the problem and recommended solutions in many price ranges. He adjusted the garage door to be safe until the new door would be installed. It was a pleasant experience and predictable outcome explained in detail. The follow up was timely ( 60-90 minutes after service call ) and conformed to previous discussion. 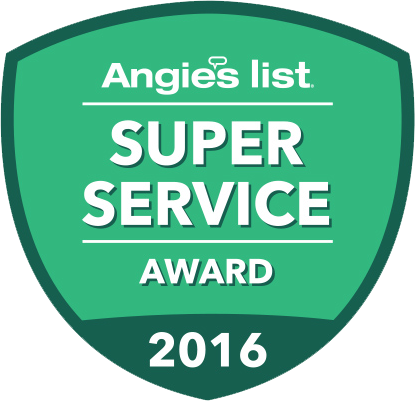 I was satisfied with the service call and would recommend this technician and company. Alex was extremely kind and professional. I felt he was honest with me and gave great advice. He tried the least invasive (to my bank account) service first. Finally needed an entire new unit and that was a very fast process. Same day service is priceless. Thank you Alex! Victor did a great job he knew what he was doing. Our torsion spring busted and we couldn’t access our garage until we called Precison garage doors. They answered my call just before 6pm and sent someone out the next day! Amazing turn around time! Victor the technician came on time and was very professional and completed the work in a jiffy. Their pricing was fair and they gave us options with pricing. Couldn’t be happier with their service. Don’t think twice, call these guys if your garage door needs repairs! Excellent customer service in scheduling the appointment. The technician Tom arrived as scheduled. Very friendly and professional. After examining the issue, he explained the options. Tom then completed the work in a timely and proficient manner. Very satisfied. Would highly recommend. I sure would refer you! Your representative was on time, professional, and got the job done in a short period of time. He was also very clean and personable. Professional organization - from the receptionist to the technician. Tom called to see if I would be available before the scheduled timeframe - I was. Installed a new belt-drive Liftmaster, along with the accessories, within one hour. Tom is professional, knowledgeable, and friendly. And an interesting fellow. Very happy with the product and installation. Prompt, excellent service! Definitely recommend. Very professional and considerate. Thorough with fixing problem. Highly recommend. My technician was Russ who showed up, worked hard, and left here with me being a totally satisfied customer. I am a senior and can't do my home repairs like I have in the past. Russ explained to me what he was doing and did not seem to mind me being there watching. A pleasant and courteous man who represents his company well. I would recommend this company to anyone without hesitation because of this young man. I am happy and satisfied with Victor's service. He is not only good technician but also good sales. The only one question is: Can I reset my old remote control to have same code as current door opener that Victor installed it last Sat.? If so, how? email answer or advice is ok, thanks. Shawn was friendly, efficient and provided detailed instructions. Jaysen was an excellent mechanic. I'm vey satisfied. 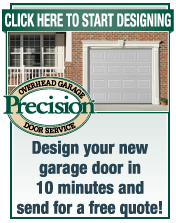 We highly recommend Precision Door Service to anyone! We called in at 9 A.M. to have a garage door spring replaced. We were impressed by the speedy response, professionalism and the knowledgable technician, Russ. The job was done by 11 A.M. on the same day with a follow-up email from the office making sure we were satisfied with the job. A pleasant experience. Russ is an OUTSTANDING technician. Serviced everything so quick & very informative what I needed to know. Again, very, very exceptional as a technician. Perfect repair work today with Mike. Scheduling an appt was easy with a live person, even on a Sunday night. Was given a 4-hour repair window for the next day, received an email confirmation five minutes after booking the appt., was called the day of the appt. with a more specific time of arrival, and Mike even arrived more promptly to my home than I did. He and Trevor thoroughly diagnosed the issue and how it was caused and options for refurbishing or replacing the opener. Quickly made the repair, made all adjustments for the smoothest opener performance until they were perfect, and reviewed the warranty coverage. This was the second time Mike's fixed my garage door (previous visit was to replace the spring) and both visits were a big relief to these issues. Highly recommend Precision Door Service and the Simi Valley team. Mike was very efficient and handled the broken springs and worn bearings on our overhead in a very timely manner. He also reviewed our invoice from 2007 and honored the warranty, even though it appeared it was not completed properly at that time and that we had more coverage than we should have. In addition, he handled a minor problem with our lower door weather stripping without my asking, just because he noticed it was coming loose. I'm very pleased with his performance. 5 Stars in all categories!! The spring in our 24 year old garage door failed. When I called Precision Garage Door of Simi Valley, they described what they would do and set up an appointment. Mike, the senior service technician arrived on time, assessed the problem, the cause and offered details for actions to fix the problem and assess best course of action with costs and benefits of each alternative. Mike was courteous, efficient, honest and knowledgeable and offered explanations for preventive maintenance. Mike did an outstanding job repairing our garage door and was very patient and courteous when i asked questions. I would call Precision Garage Door of Simi Valley again if I have a problem with our other garage door. I give you 5 stars for a job well done. I have always used your service since I bought my first door 25 years ago. You have always come the day I called and one time you came out late after a full day of work, fixed the problem for no charge. The door had come down as I was backing out and was bent. Last week I needed a new door. It was installed within a few days and it looks and works great. Thank you Precision. Scheduling the appointment was fast and easy. The serviceman was polite and knowledgable and took his time analyzing the problem. I highly recommend this company. Very professional and informative serviceman. Answers to my questions were clear a simple. Explained what the issues were, what need to be done and why it needed to be done. Opener works well, happy with the repair, Russ is a good guy.